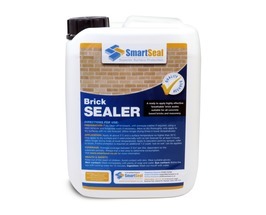 We supply a high quality roof sealer that provides lasting protection to a wide variety of roof tiles. 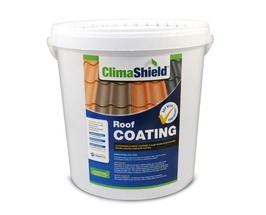 The clear roof sealer helps to make porous roof tiles water resistant. A porous roof tile can quickly attract the growth of moss and algae which thrive in damp conditions. A concrete roof sealer should be used on concrete roof tiles which tend to be very porous. A clay tile sealer is used on clay roof tiles which can also be very porous. Prior to application of the roof sealer, any moss, dirt or algae should be removed first. A powerful roof cleaner should be used to remove dirt and stubborn lichen which can be hard to shift. 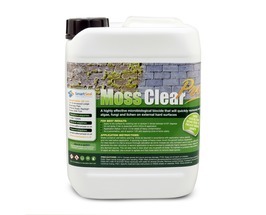 A moss remover can be used on moss and algae growth to kill moss and prevent re-growth. Once the dirt, moss and algae has been removed from the roof it should be left to dry out. 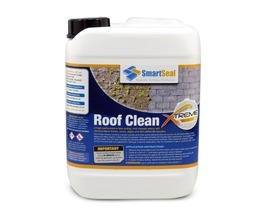 The roof sealant can then be applied to the roof using a brush or a sprayer. For further information on any concrete roof sealer or clay tile sealer we supply, please call 01 649 9053. Alternatively you can complete our online enquiry form. Suppliers in Ireland of roof sealer and roof tile sealer for a wide variety of roof tiles. An effective roof sealer will stop water penetration on roof tiles and help to prevent the growth of moss and algae. For clay roof tiles a clay roof tile sealer should be applied. On slate tiles a slate roof sealer should be used as it is solvent free and will impregnate into the tiles. A concrete roof tile sealer is the best sealer for concrete roof tiles and can keep concrete roof tiles from deteriorating. If concrete roof tiles are not sealed they can quickly create the perfect environment for moss and algae to grow. 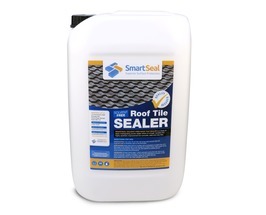 The clear roof sealer will fill the porous microscopic voids in the surface of the concrete roof tile. Once sealed the concrete roof tiles will not allow water to penetrate and this in turn will inhibit the re-growth of moss and algae.